Four lawyers from Florida were killed in a plane crash Friday. NBC 6 Anchor Johnny Archer explains. 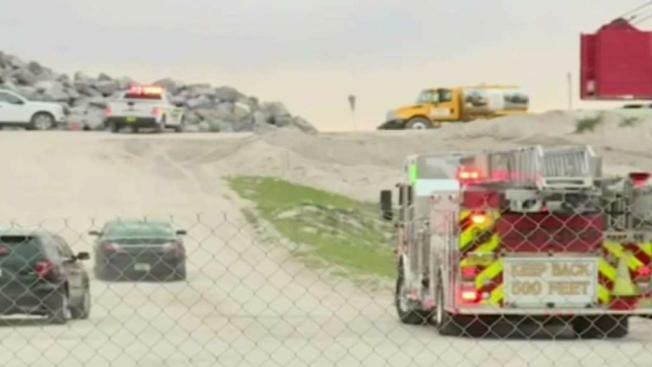 Authorities say they've identified the five people who were killed in a small plane crash in Florida's Lake Okeechobee. The Palm Beach County Sheriff's Office said Saturday in a statement that its divers had recovered the five people from the aircraft's fuselage. They were identified as Eduardo Mulet, of West Palm Beach, Florida; Eric Peterson, of Lighthouse Point, Florida; Matthew Fiorello, of Palm Beach Gardens, Florida; Heather Bridwell, of Jupiter, Florida; and Edwin Mortell, of Stuart, Florida. The four passengers were attorneys and worked at the same firm. "It leaves a profound hole in your heart," said Bill Martin, a colleague. "It is a loss, an unfortunate part of life, this is tragic. To lose one individual would be terrible and to lose four is almost beyond our comprehension." Officials say the twin-engine Piper aircraft went down Friday about 400 yards from the giant lake's southeast shore, just north of the Pahokee Airport. Records show the plane had taken off from Tampa International Airport.